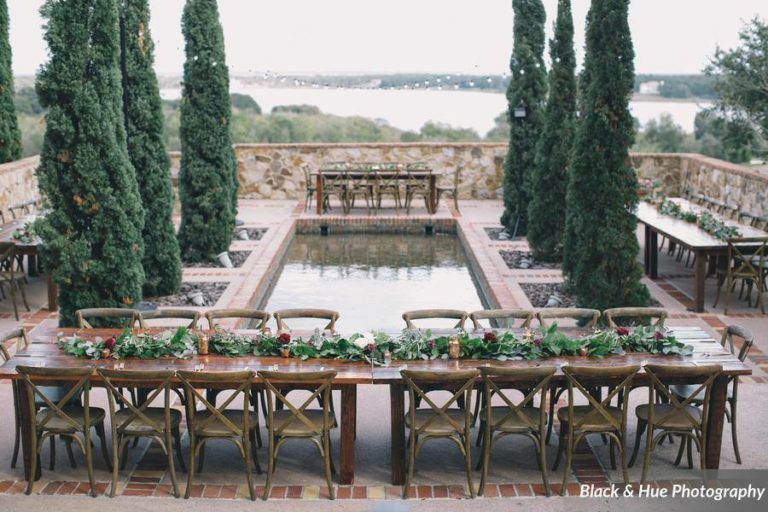 Bella Collina Bohemian Wedding - A Chair Affair, Inc. 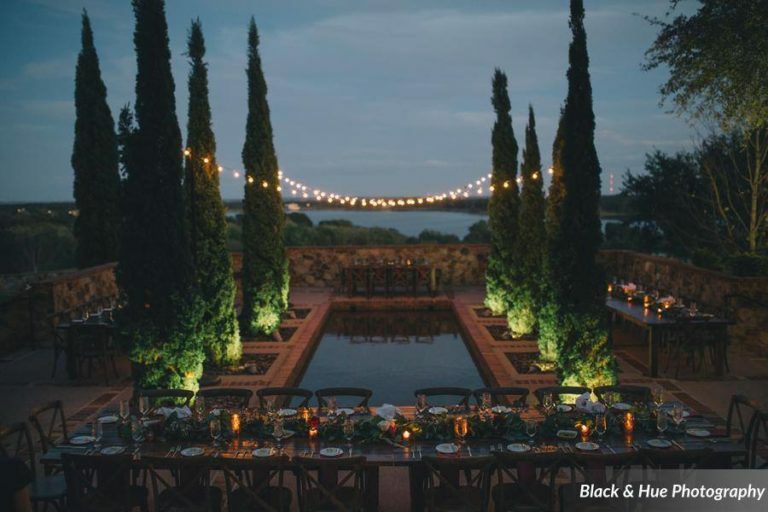 Truth be told, our jaws dropped when we saw the photos that Black & Hue Photography captured from this gorgeous Bella Collina bohemian wedding. 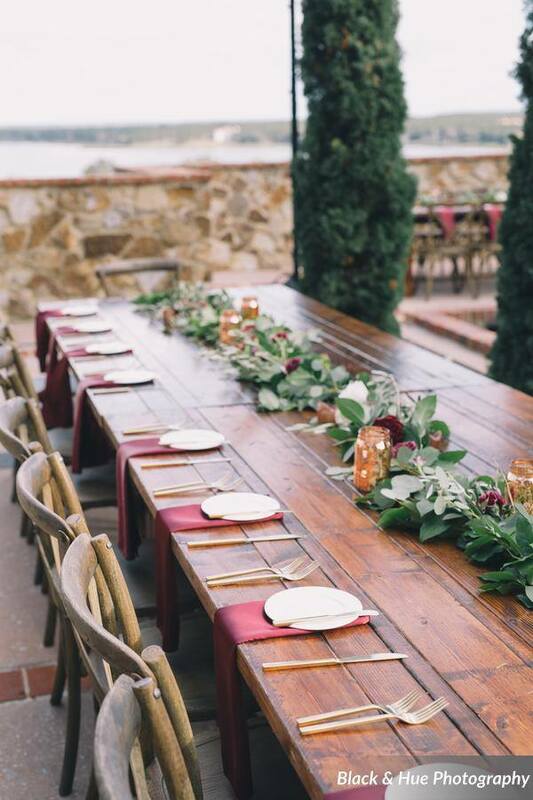 Every single detail of this lovely sunset affair was carefully pieced together by the bride and groom, Stephanie and Kiko, and the talented Anna Christine Events. As the sun set and the guests took their seats, the beautiful bride walked down in the aisle with her father by her side. Her long-sleeved dress was absolutely breathtaking with its detailed design. 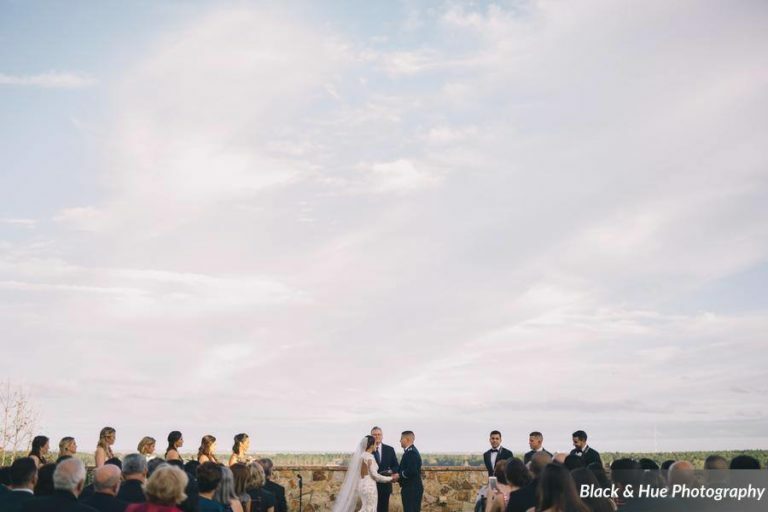 Stephanie’s braided bun was subtle and romantic, with the veil tucked perfectly into the design. 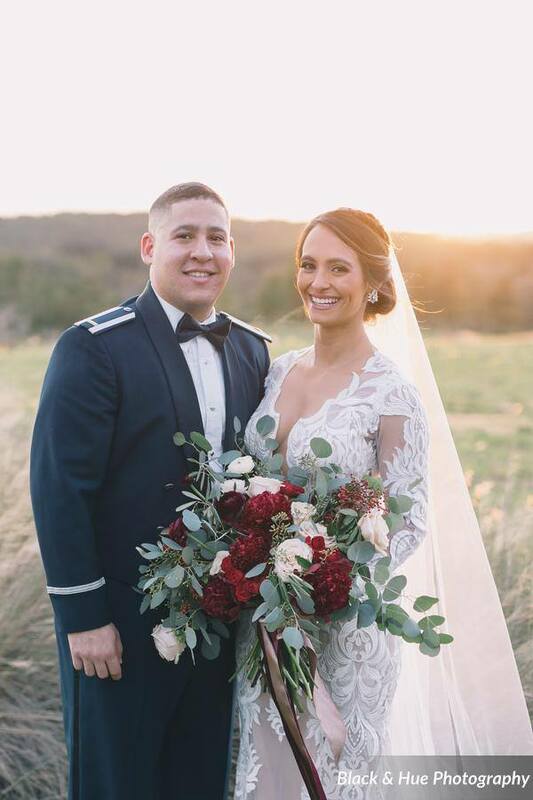 Bluegrass Chic did a wonderful job at crafting her large bouquet which included greenery, red peonies, and white roses. 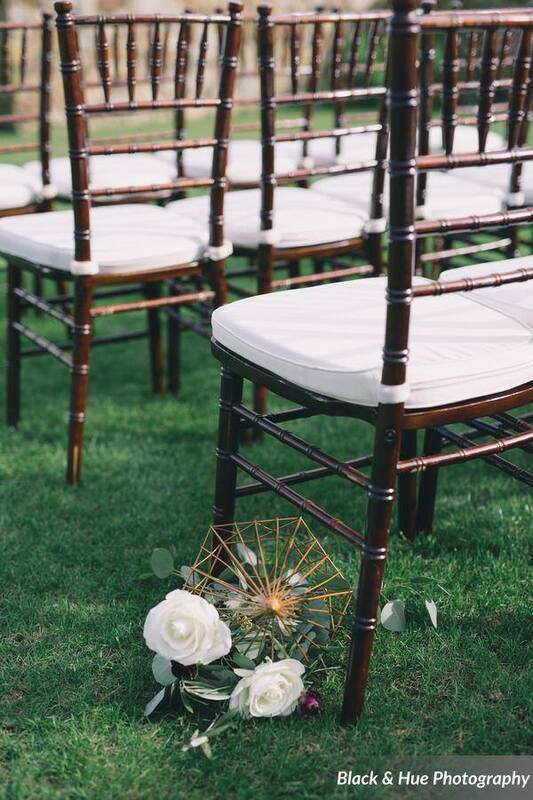 A Chair Affair’s Mahogany Chiavari Chairs fit wonderfully into the mix. 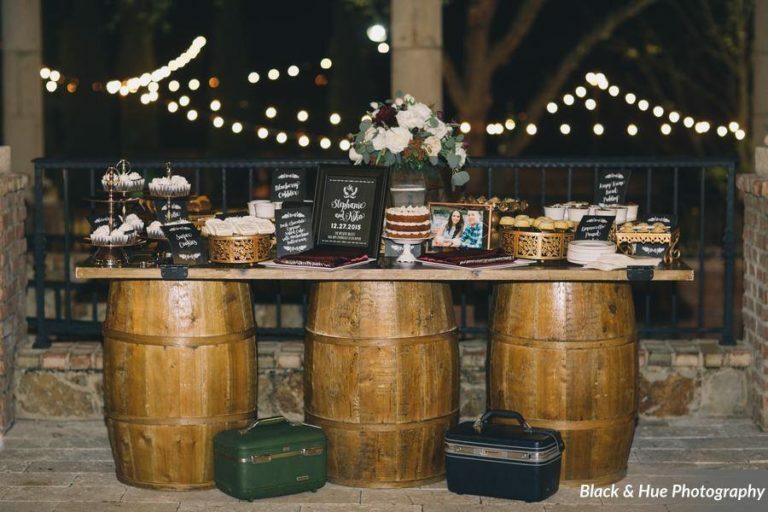 FyerFly Productions kept the party going for the reception. 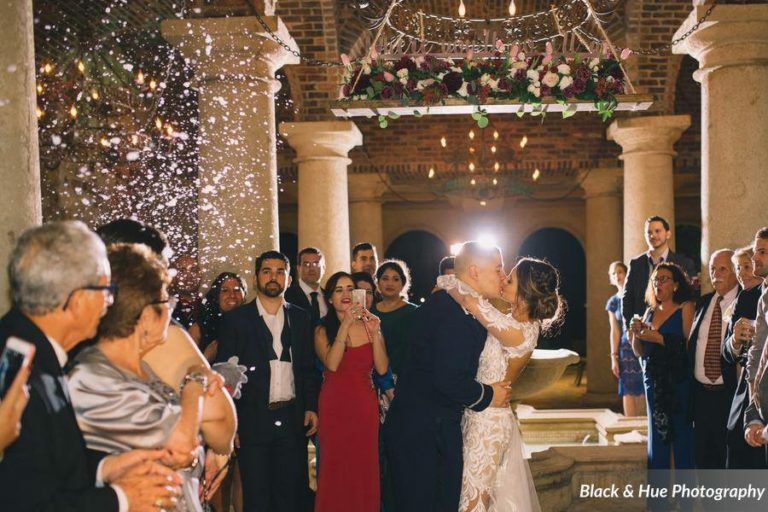 After the cake was served and the newlyweds enjoyed their first dance as husband and wife, the night came alive. 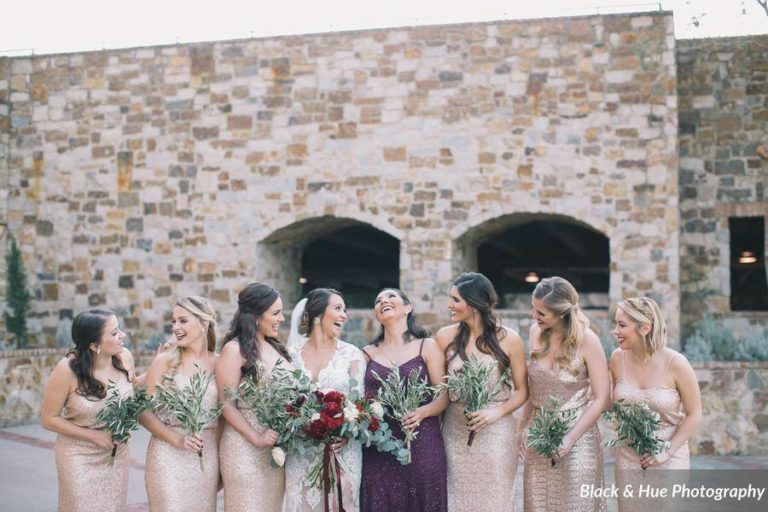 As guests danced with the newlyweds and the celebration continued, it was plain to see that this Bella Collina bohemian wedding was a huge success. 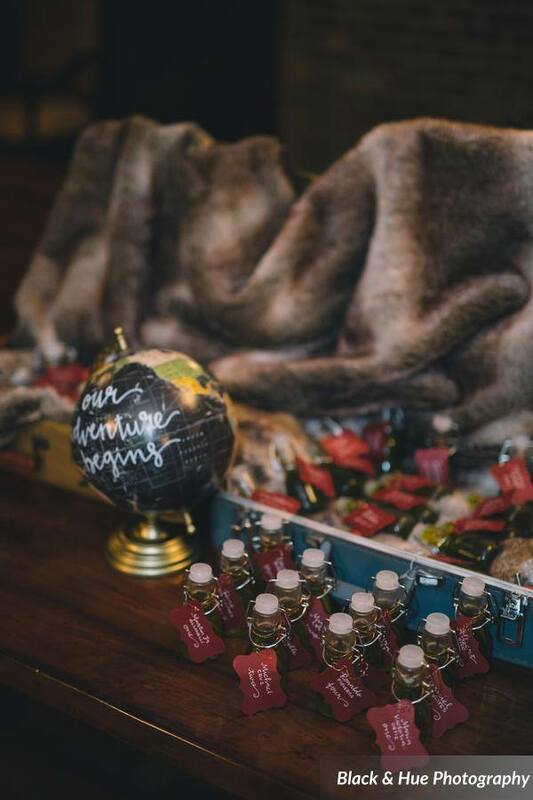 One of our favorite parts of the wedding involved the wedding favors: the bride, Stephanie, determined which wedding favor a guest would receive by the type of country they selected on their response to the original wedding invitation. 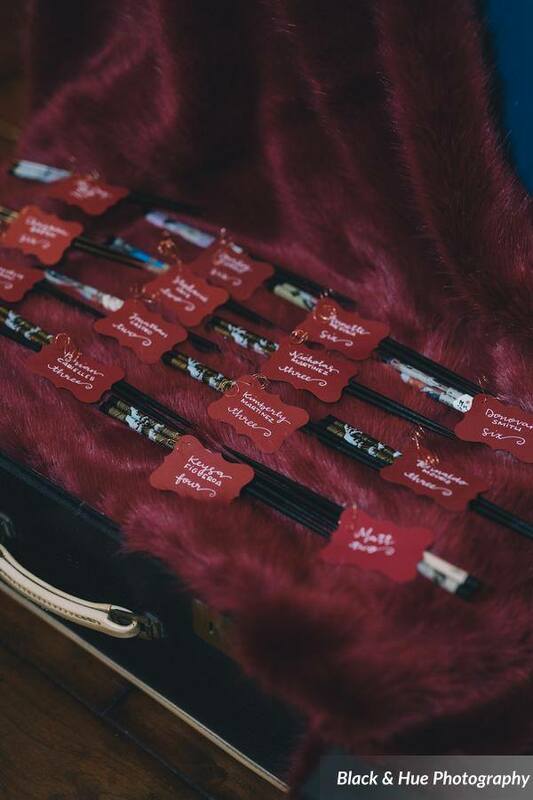 Guests who selected Brazil received a gift of coffee, Japan received chopsticks, etc. 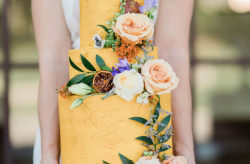 It was one of the most unique ideas that we’ve seen, and we loved how much thought the bride put into her guests! 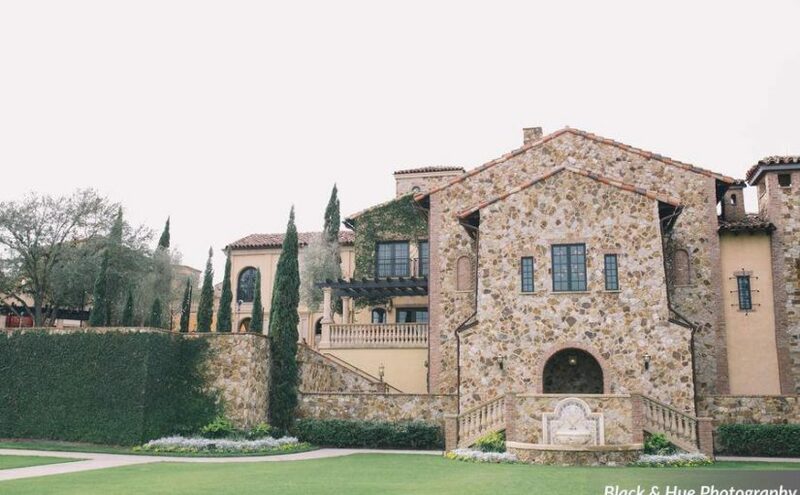 Congratulations to these Stephanie and Kiko! We wish you lots of love and happiness for years and years to come. 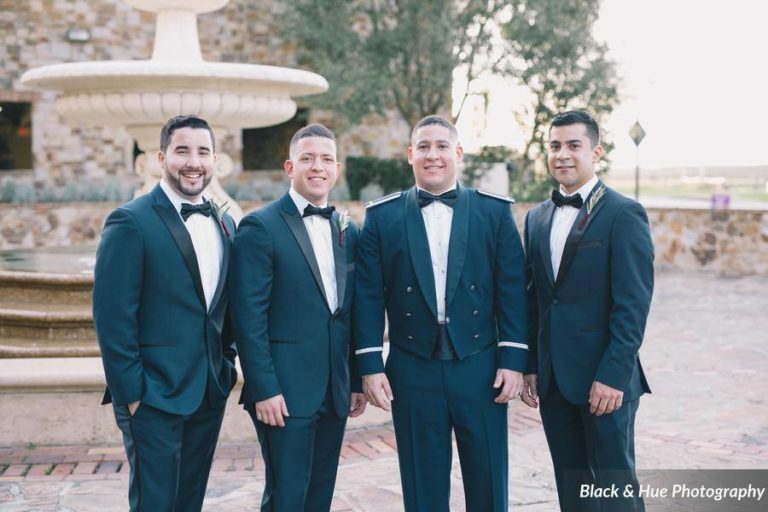 Thanks for letting us be a part of your wonderful day!